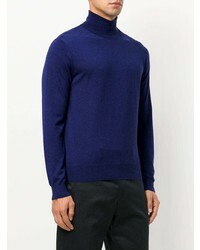 Opt for a Canali roll neck sweatshirt from farfetch.com and navy dress pants to ooze class and sophistication. 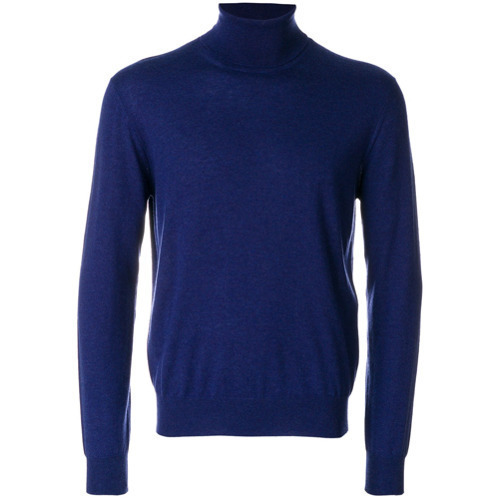 If you're after a casual yet sharp outfit, consider teaming a Canali roll neck sweatshirt from farfetch.com with navy chinos. Both pieces are totally comfortable and will look great together. 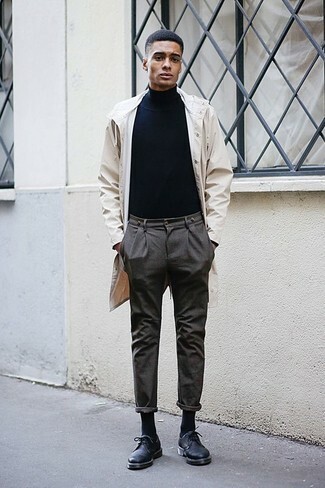 If you're hunting for a casual yet seriously stylish ensemble, pair a Canali roll neck sweatshirt with black chinos. Both pieces are totally comfortable and will look great together. Brown leather casual boots will add elegance to an otherwise simple look. 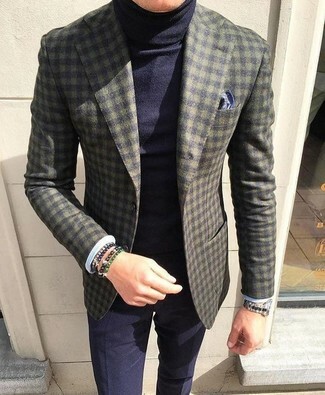 If it's comfort and practicality that you're looking for in an outfit, try pairing a Canali roll neck sweatshirt from farfetch.com with burgundy jeans. To bring out the fun side of you, finish off your getup with red leather high top sneakers. 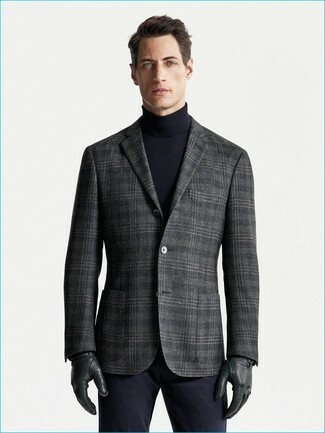 For a nothing less than incredibly stylish outfit, make a Canali roll neck sweatshirt from farfetch.com and navy dress pants your outfit choice. 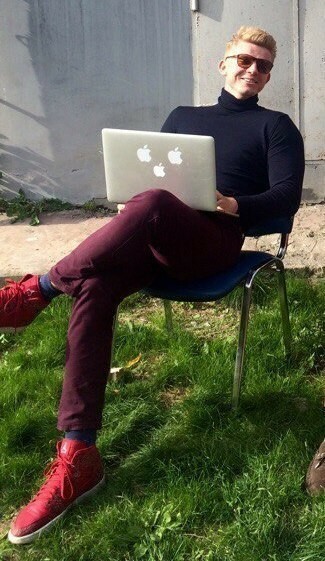 As you can see here, being a dapper dude doesn't take that much a work setting. 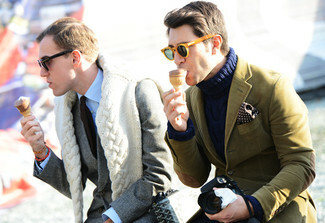 Just wear a Canali roll neck sweatshirt and an olive blazer and you'll look amazing. 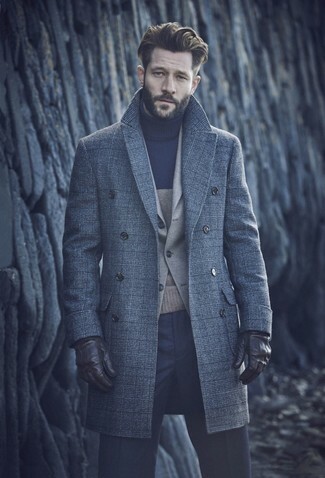 Go for a navy turtleneck and charcoal wool dress pants to ooze class and sophistication. 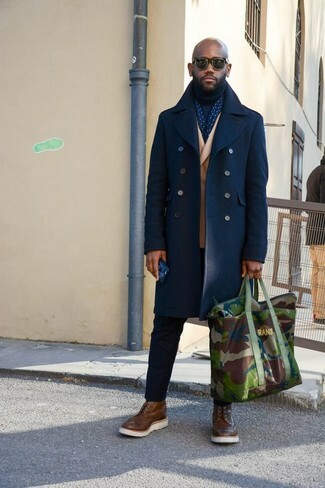 When it comes to footwear, this look pairs well with black leather double monks. 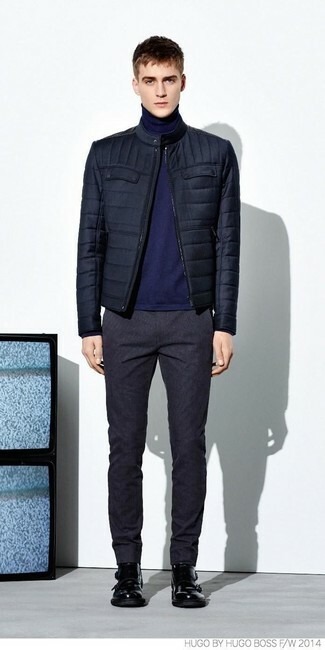 If you're searching for a casual yet on-trend look, wear a navy turtleneck with charcoal chinos. Both pieces are totally comfortable and will look great together. 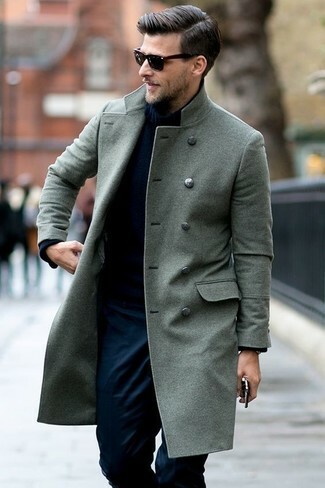 Black leather derby shoes will add elegance to an otherwise simple getup. 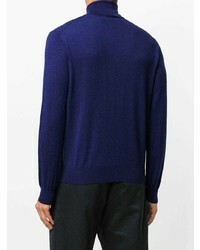 Pair a Canali roll neck sweatshirt from farfetch.com with navy dress pants like a true gent.